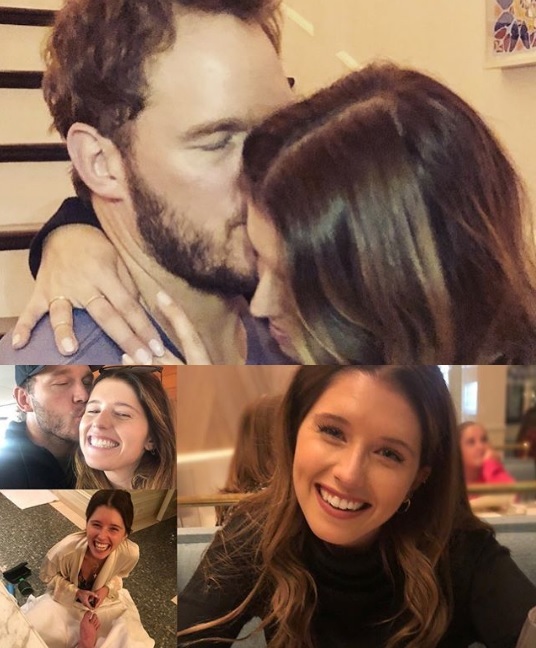 Chris Pratt has announced some good news via his social media as he has been engaged to his girlfriend Katherine Schwarzenegger with an adorable picture of the couple. "Guardian of the Galaxy" star lord Chris Pratt, 39 has revealed that he has been engaged to his author girlfriend Katherine Schwarzenegger, 29 who is the daughter of legend actor and current politician Arnold Schwarzenegger. Chris announced the good news of his engagement to Katherine to his fans via Social media post with their cute picture hugging each other with caption, "Sweet Katherine, so happy you said yes! I’m thrilled to be marrying you. Proud to live boldly in faith with you. Here we go! 💍🙏♥️" and Katherine showing a huge pretty diamond ring in her hand. Chris had been first linked up on January when he was spotted helping Katherine move out of her home in California and later were spotted on a picnic date on June. Since then the sparks have been quiet high with lots of PDA as well as affectionate social media posts. Congratulations to the new couple who are going to new path together. Chris had been previous married to actress Anna Farris and also has child together. Their divorce was finalized in October, 2018.